This website was user friendly and right on the money with the product I ordered. I recommend using this site to order ink for all copiers. I am pleased with the toner that I received. It has given me good printing. I would recommend this product to everyone. Genuine OEM Konica-Minolta Toner Cartridge, Black, 17,500 page yield. 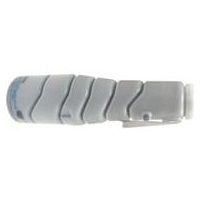 Konica-Minolta part number: 8938-413, TN211, TN-211, 8938413. Laser Toner Cartridge compatible with Konica-Minolta bizhub 200, 222, 250, 282. Genuine OEM Konica-Minolta Drum Unit, 80,000 page yield. Konica-Minolta part number: 4068612, 4068-612, DR310, DR-310. Drum Unit compatible with Konica-Minolta bizhub 200, 222, 250, 282, 350, 362.